The Buffalo Bills are continuing their research into the potential for a new stadium or renovations to New Era Field. 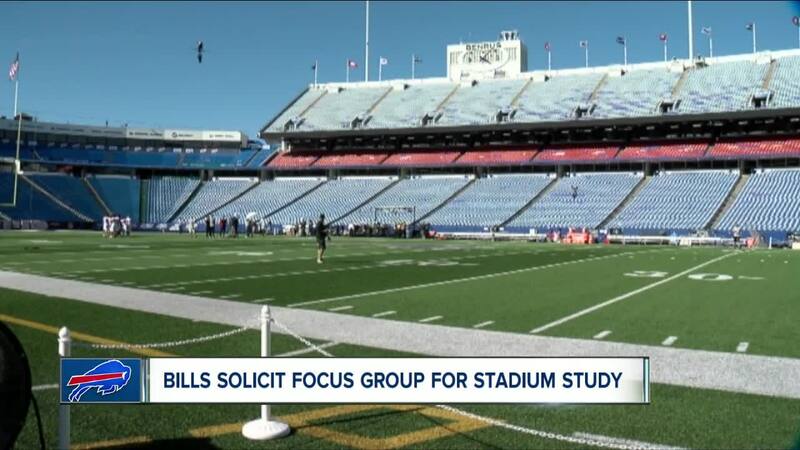 ORCHARD PARK, N.Y. (WKBW) — The Buffalo Bills are continuing their research into the potential for a new stadium or renovations to New Era Field. Monday night, some fans received an email from "BuffaloBillsFocusGroup@caaicon.com," inviting them to a focus group session to be held on Wednesday, February 13. The email was sent to some of the fans who completed a survey last month on the status of New Era Field and what they'd like to see in a new or renovated Bills stadium. The focus group is part of ongoing research by CAA ICON. Pegula Sports and Entertainment hired the consulting firm back in November to look into options for the Bills stadium. The firm is also expected to take a look at "modernizing" the KeyBank Center, home of two other Pegula-owned teams-- the Sabres and Bandits. The Bills signed a new lease agreement with Erie County for New Era Field back in 2013, when the team was still owned by the late Ralph C. Wilson, Jr. The lease is set to expire in 2023.